Throughout the history of our church, there have been reported miracles of the Eucharist. The first known one was the Miracle of Lanciano, Italy, about 700 AD. This miracle still baffles scientists to this day. Here is an account of a Eucharistic miracle that Pope Francis approved when he was Archbishop of Buenos Aires. The facts of what took place are narrated by Ron Tesoriero in his book Reason to Believe, published in 2007. In 1996 in the Archdiocese of Buenos Aires, Argentina, when the present Pope Francis was Auxiliary Bishop under Cardinal Quarracino, an amazing Eucharistic miracle took place. He himself had it photographed and investigated and the results are astonishing. At seven o’clock in the evening on August 18, 1996, Fr. Alejandro Pezet was saying Holy Mass at a Catholic church in the commercial center of Buenos Aires. As he was finishing distributing Holy Communion, a woman came up to tell him that she had found a discarded host on a candle holder at the back of the church. On going to the spot indicated, Fr. Alejandro saw the defiled Host. Since he was unable to consume it, he placed it in a container of water and put it away in the tabernacle of the chapel of the Blessed Sacrament. On Monday, August 26, upon opening the tabernacle, he saw to his amazement that the Host had turned into a bloody substance. He informed Bishop Jorge Bergoglio (Now Pope Francis, Auxiliary Bishop at that time), who gave instructions that the Host be professionally photographed. The photos were taken on September 6. They clearly show that the Host, which had become a fragment of bloodied flesh, had grown significantly in size. For several years the Host remained in the tabernacle, the whole affair being kept a strict secret. Since the Host suffered no visible decomposition, Cardinal Bergoglio (Who became Archbishop by that time) decided to have it scientifically analyzed. On October 5, 1999, in the presence of the Cardinal’s representatives, Dr. Castanon took a sample of the bloody fragment and sent it to New York for analysis. Since he did not wish to prejudice the study, he purposely did not inform the team of scientists of its provenance (the source of sample was kept secret to the scientists). One of these scientists was Dr. Frederic Zugibe, the well-known cardiologist and forensic pathologist and former Medical examiner of Rockland County. He determined that the analyzed substance was real flesh and blood containing human DNA. Zugibe testified that the analyzed material is a fragment of the heart muscle found in the wall of the left ventricle close to the valves. This muscle is responsible for the contraction of the heart. It should be borne in mind that the left cardiac ventricle pumps blood to all parts of the body. The heart muscle is in an inflammatory condition and contains a large number of white blood cells. This indicates that the heart was alive at the time the sample was taken. It is my contention that the heart was alive, since white blood cells die outside a living organism. They require a living organism to sustain them. Thus, their presence indicates that the heart was alive when the sample was taken. 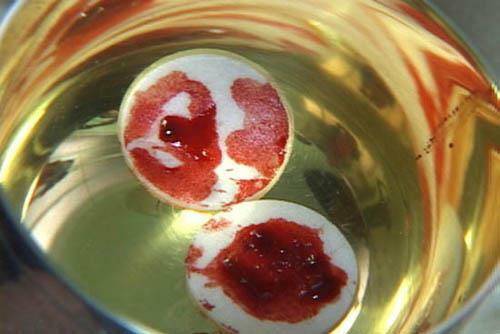 What is more, these white blood cells had penetrated the tissue, which further indicates that the heart had been under severe stress, as if the owner had been beaten severely about the chest. Then Doctor Ricardo Castanon Gomez arranged to have the lab reports from the Buenos Aires miracle compared to the lab reports from the Lanciano miracle, again without revealing the origin of the test samples. The experts making the comparison concluded that the two lab reports must have originated from test samples obtained from the same person. They further reported that both samples revealed an AB positive blood type. They are all characteristic of a man who was born and lived in the Middle East region. Only faith in the extraordinary action of a God provides the reasonable answer: faith in a God, who wants to make us aware that He is truly present in the mystery of the Eucharist. The Eucharistic miracle in Buenos Aires is an extraordinary sign attested to by science. Through it Jesus desires to arouse in us a lively faith in His real presence in the Eucharist. He reminds us that His presence is real, and not symbolic. Only with the eyes of faith do we see Him under appearance of the consecrated bread and wine. We do not see Him with our bodily eyes, since He is present in His glorified humanity. In the Eucharist Jesus sees and loves us and desires to save us.